Thank you for choosing to become a member of the Colorado Model Railroad Museum. Please check the level of membership you wish to join and complete the information at checkout. 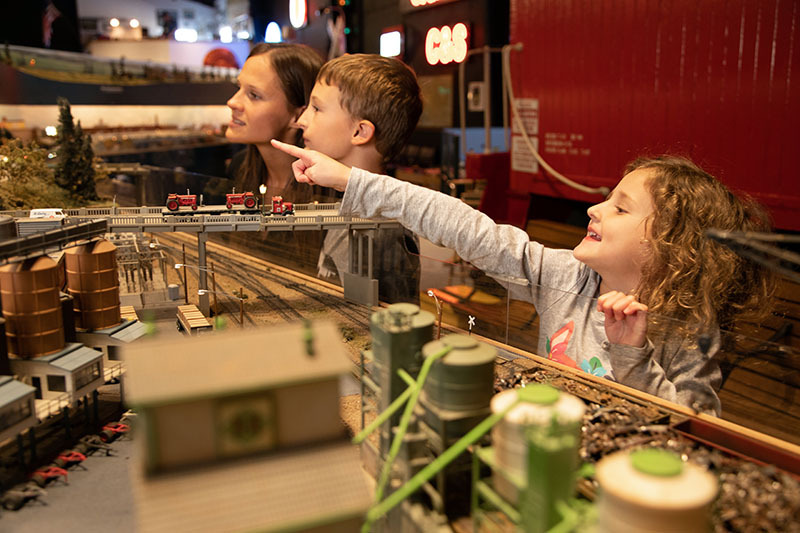 When you become a member of the Colorado Model Railroad Museum, you join a community of model railroad enthusiasts, STEAM aficionados, and families of all ages. As a member, you will receive admission to the museum for one year and discounts in the gift shop. All levels receive one year free admission, CMRM “Inside the OC&E” Newsletter subscription and 10% off in the gift shop. All levels receive one year free admission and 20% off in gift shop. Members receive one year free admission, pre sale event tickets, special communication, 1 lunch per quarter with Executive Director, CMRM commemorative gift and 20% off in the gift shop.